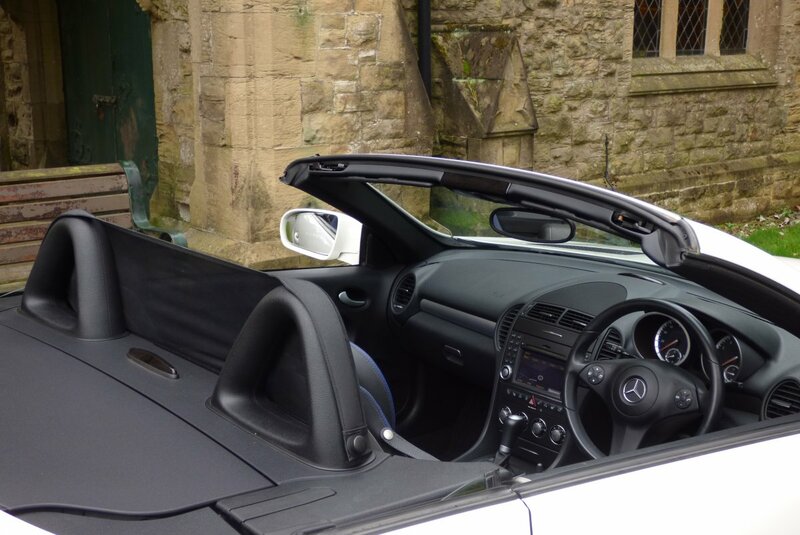  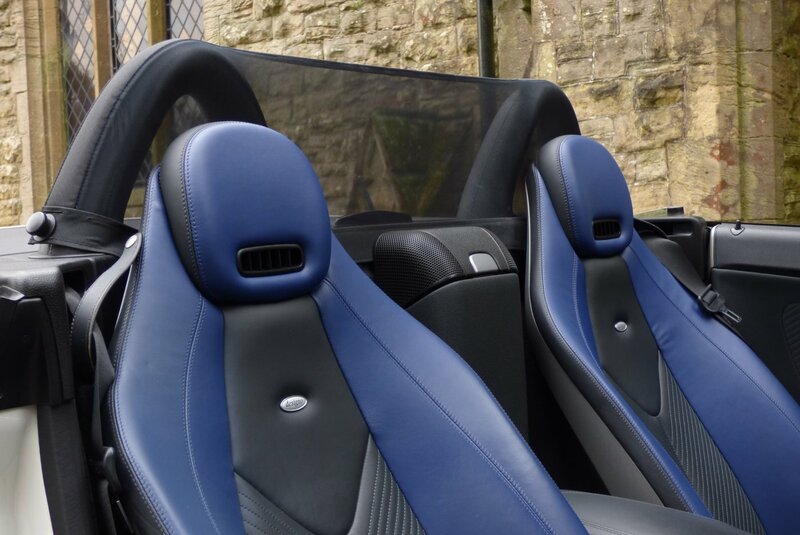 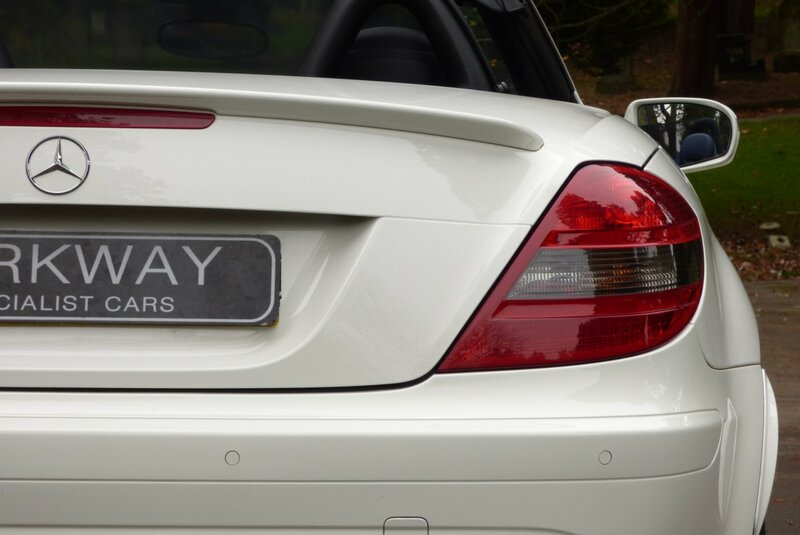 Ever Since 1996 The German Manufacturer Has Offered Us This Sporty Two Seat Luxury Convertible, Which Was To Be Viewed As The Direct Competition To The Porsche Boxster Model. 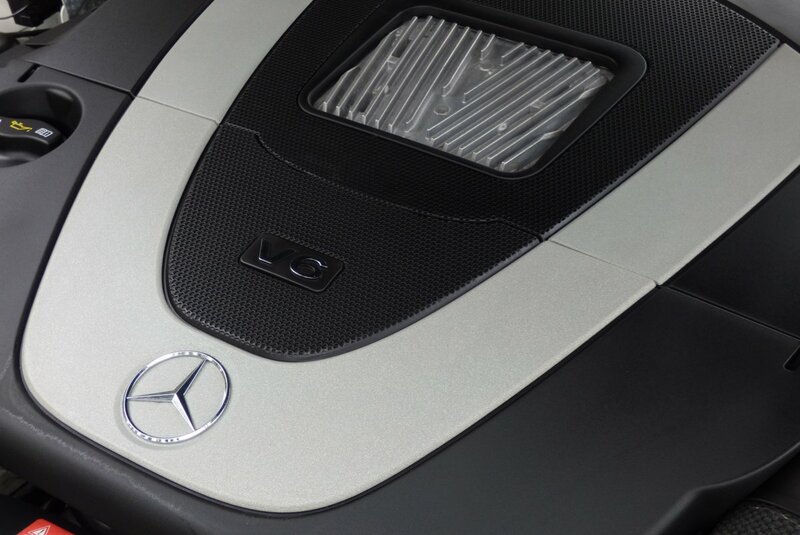 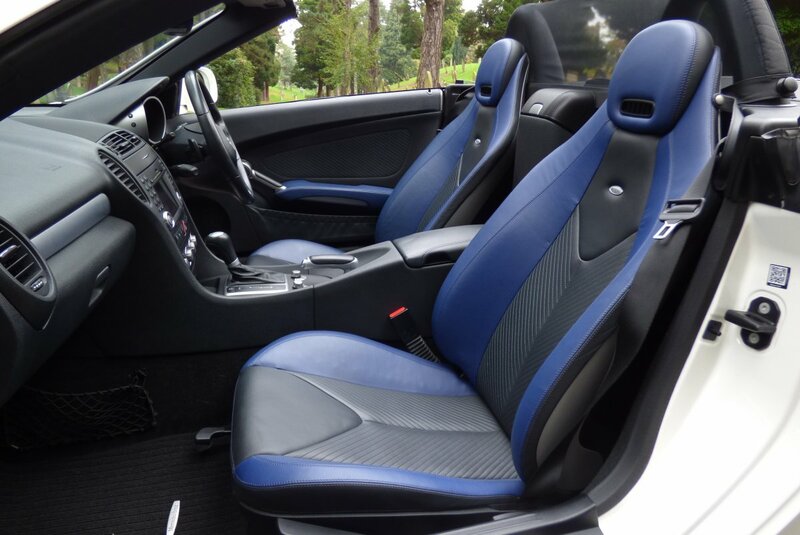 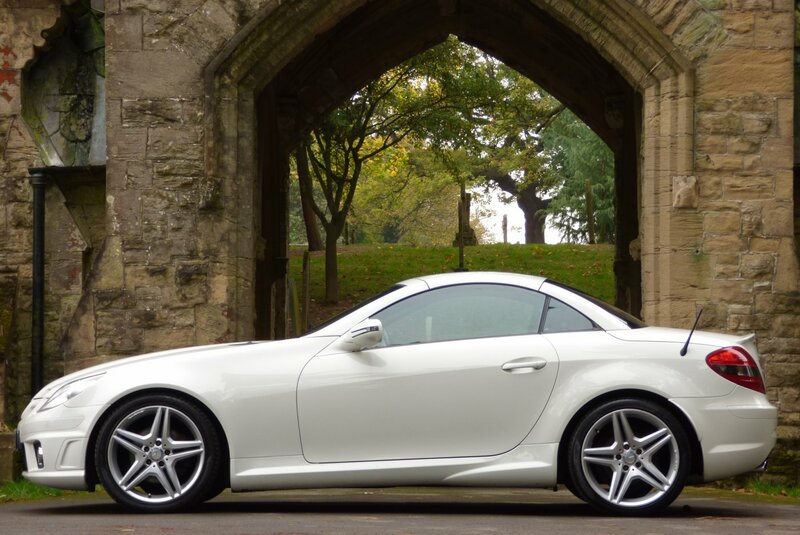 After The First Generation R170 Version Came To An End In Early 2004, Mercedes Benz Introduced This Stunning Replacement, The All New R171 Mercedes Benz SLK Which Was Showcased To the World At The 74th Geneva International Motor Show. 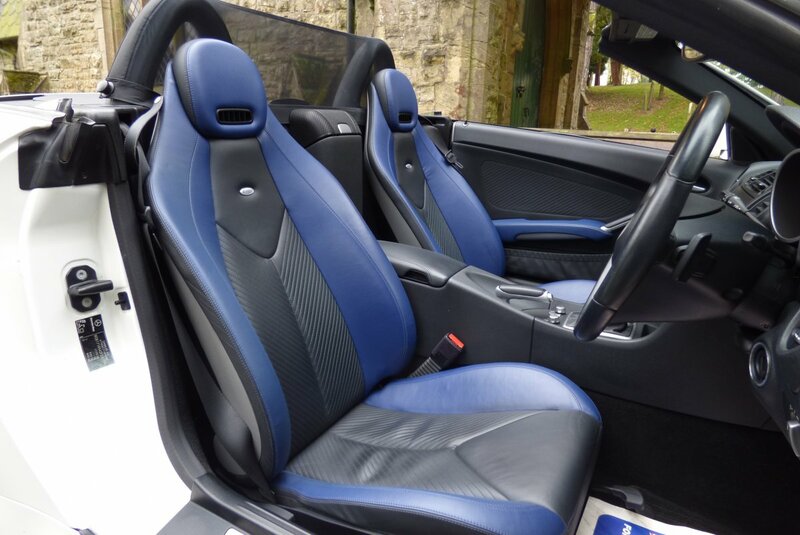 Compared To The Older Model, This Stunning New Design Was Longer And Wider, Which Gave Better Cabin Room, However With The Factory Production Using More Up To Date Materials, The R171 Was Lighter And In Turn Quicker, So This Was To Be An Instant Hit With The Eager Global Buyers And Motoring Press. 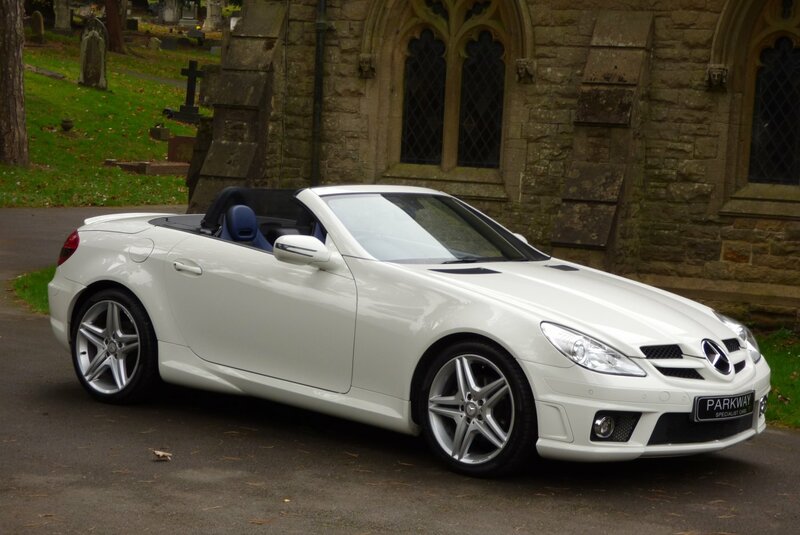 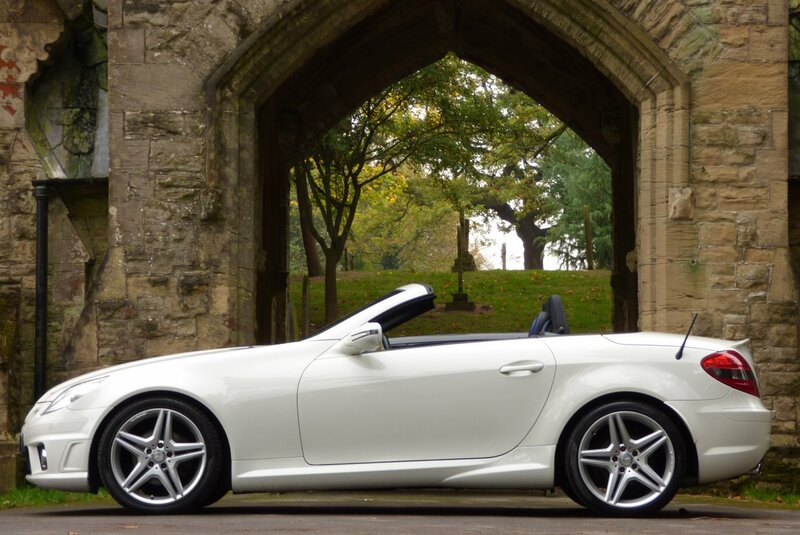 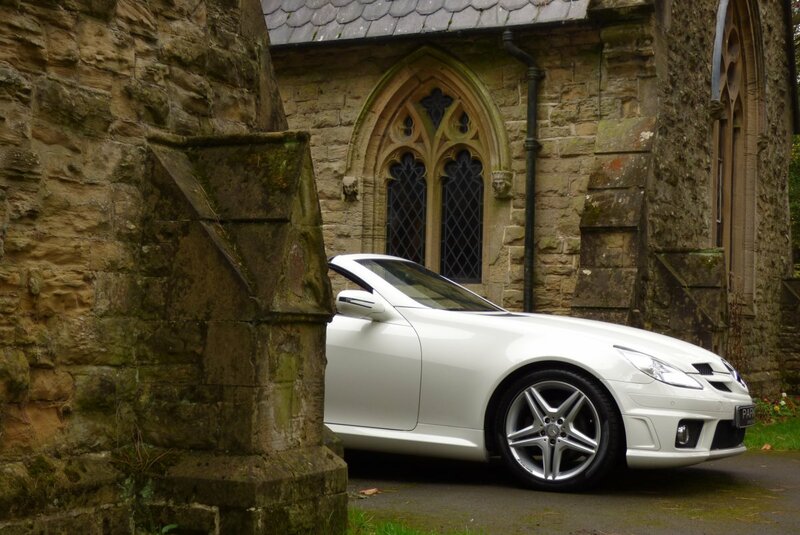 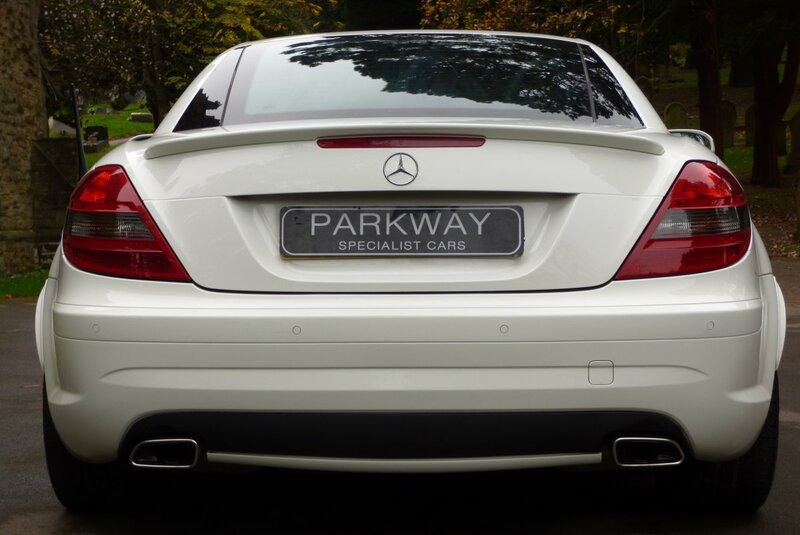 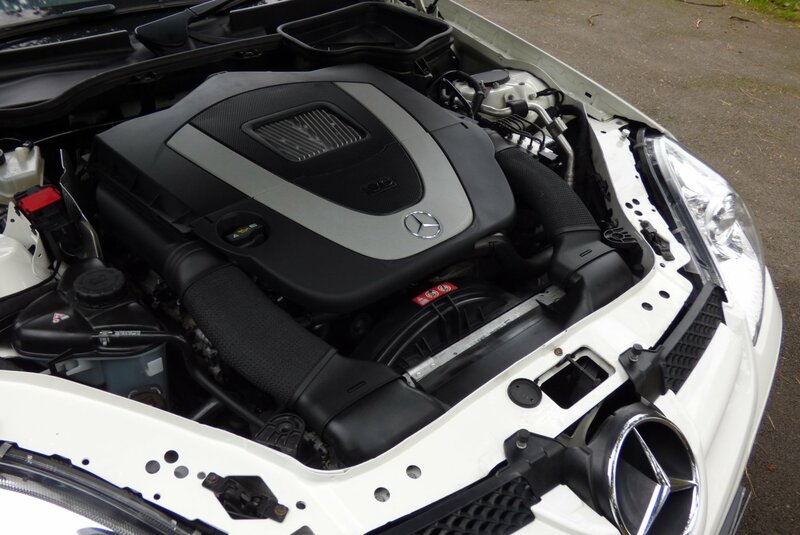 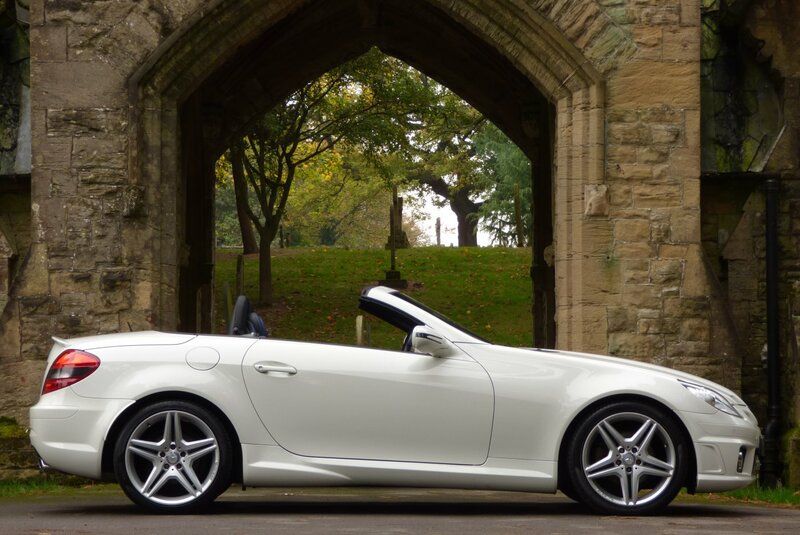 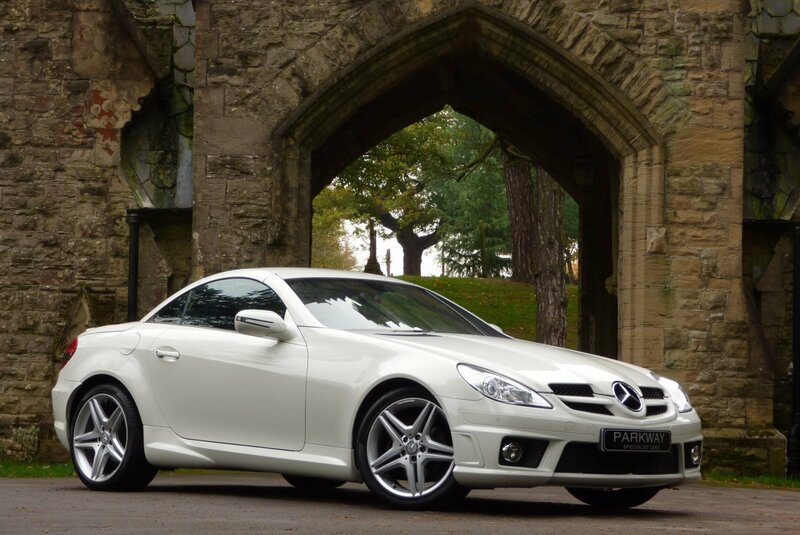 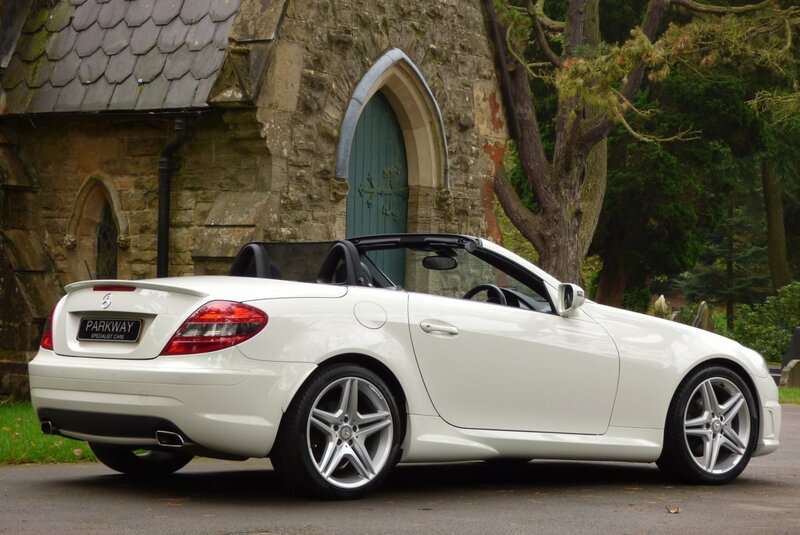 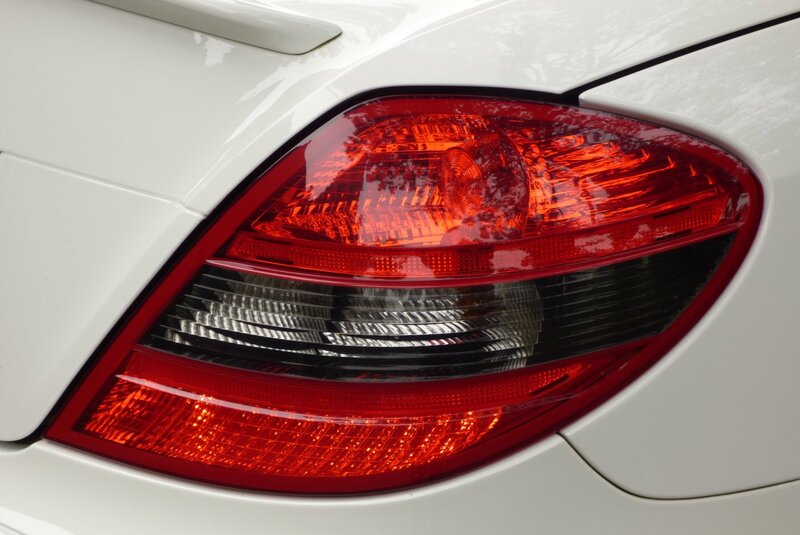 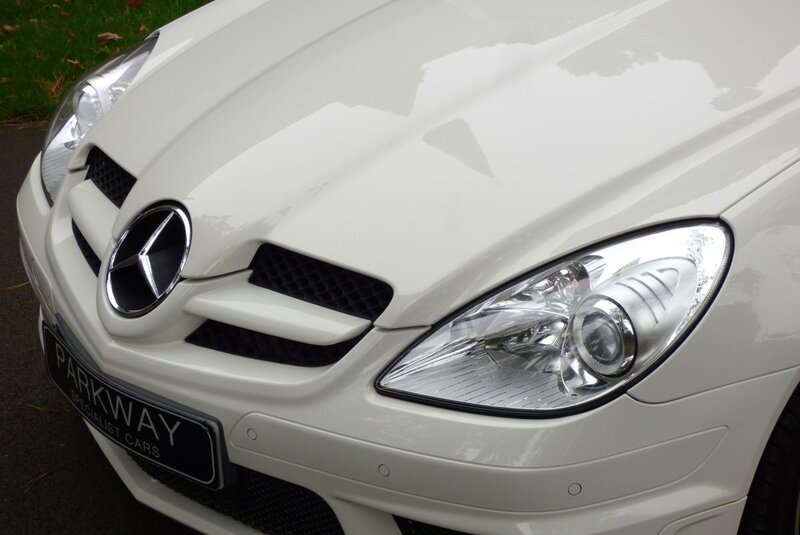 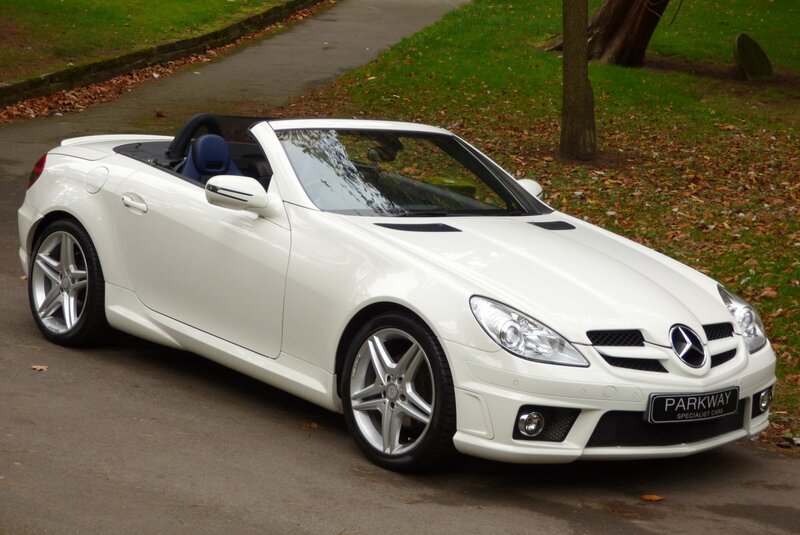 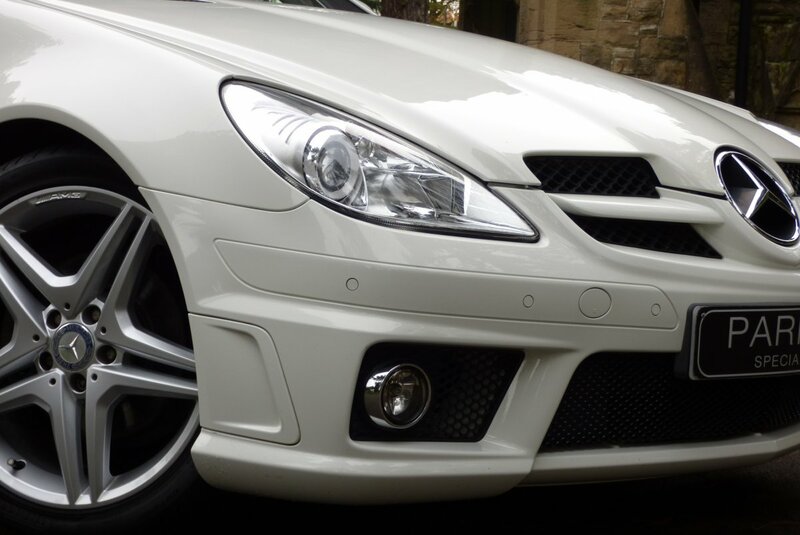 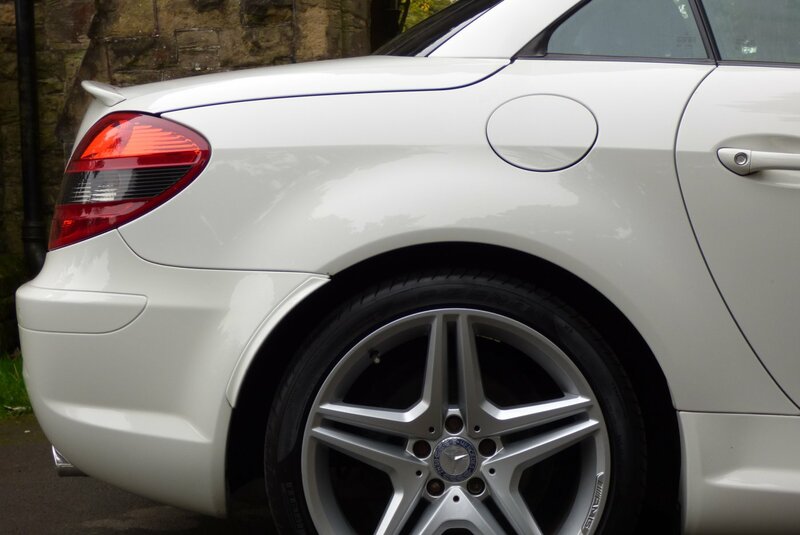 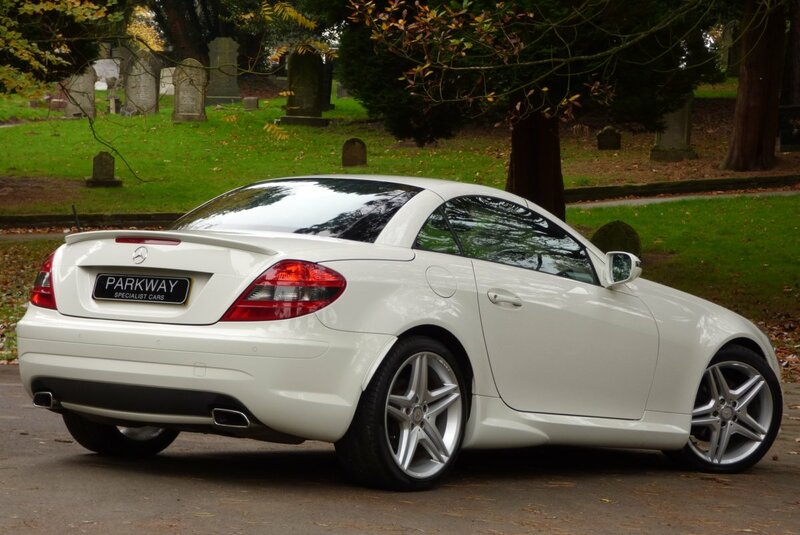 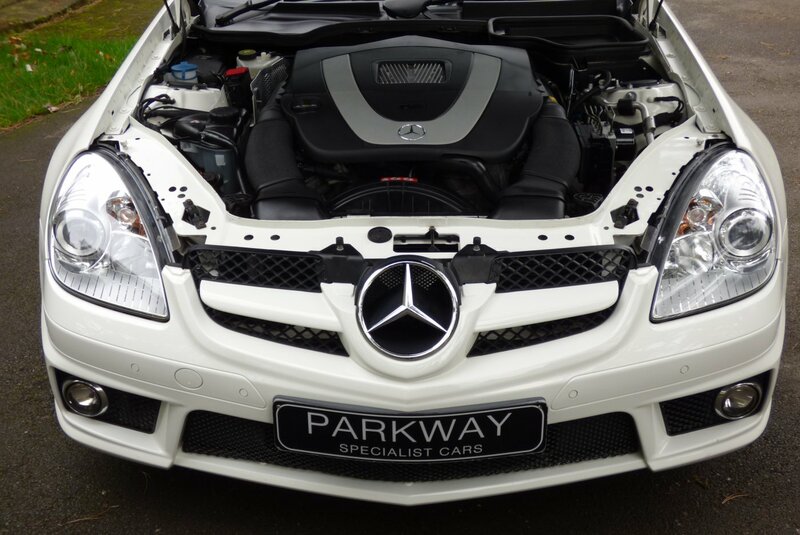 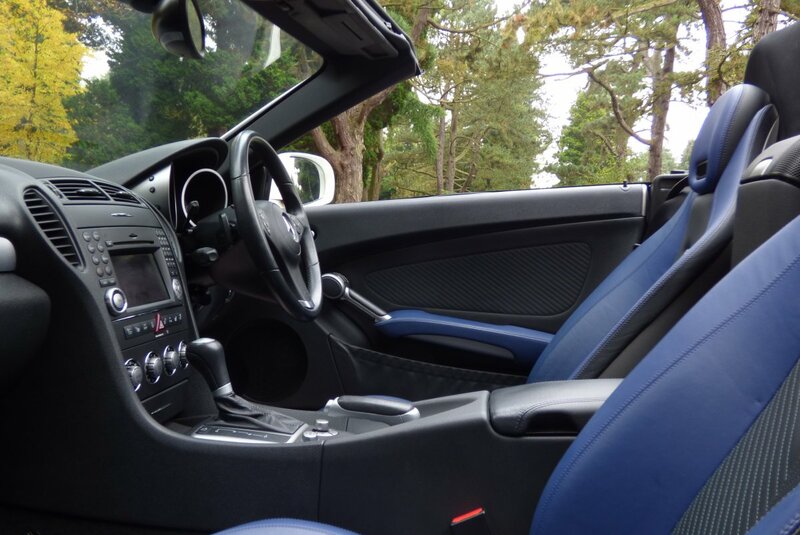 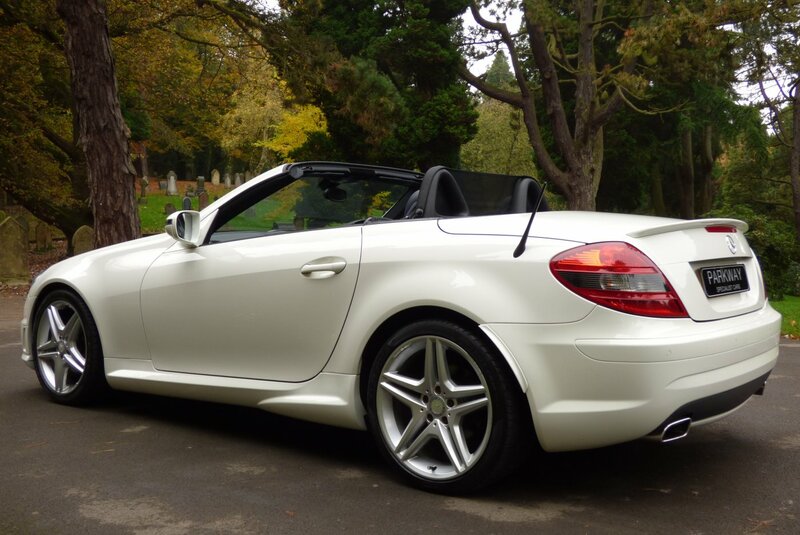 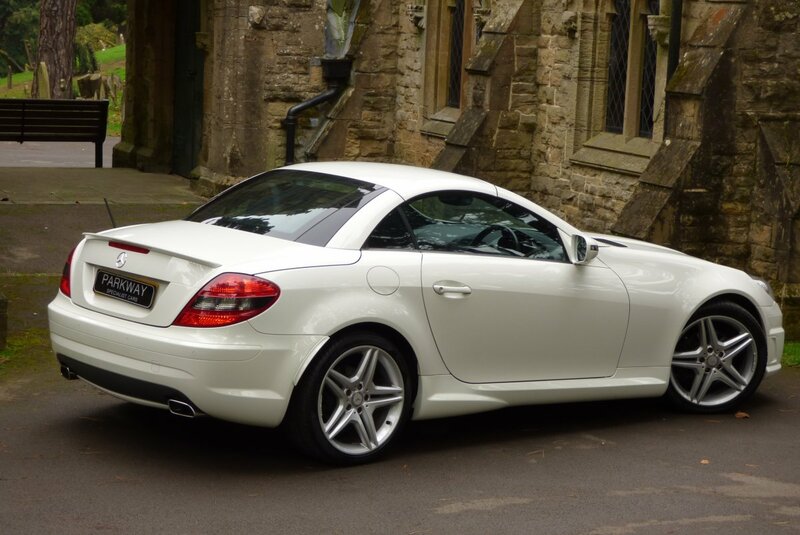 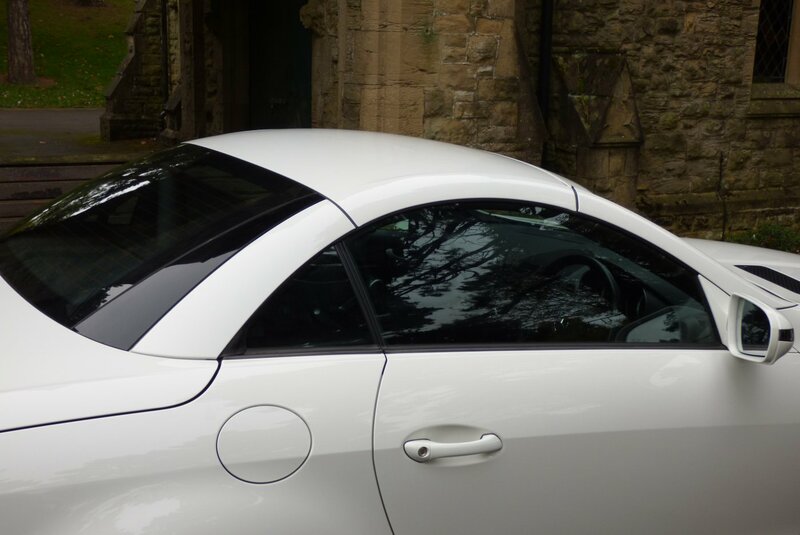 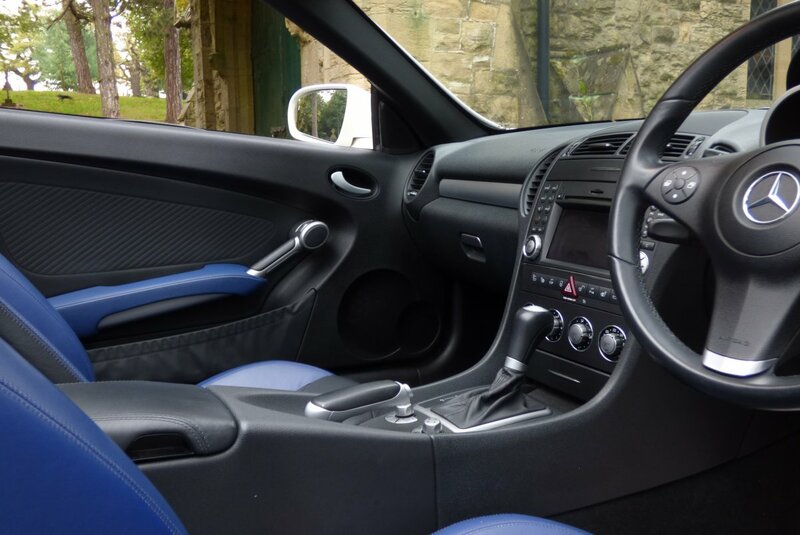 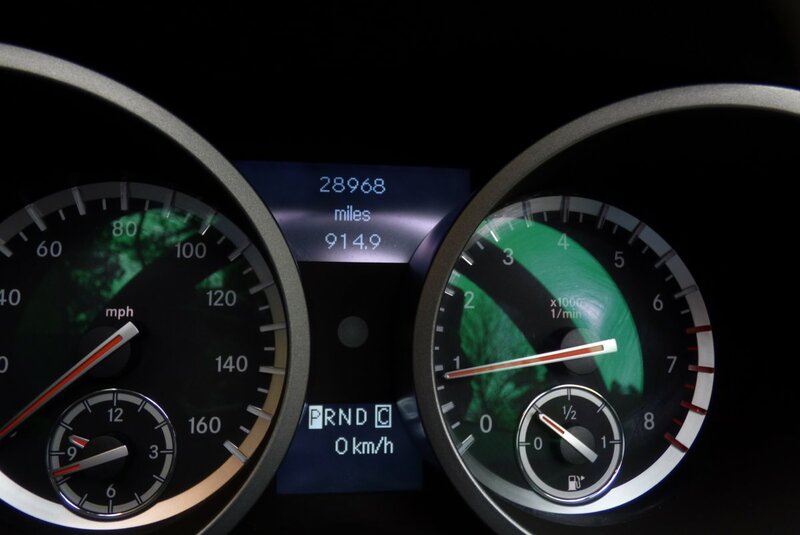 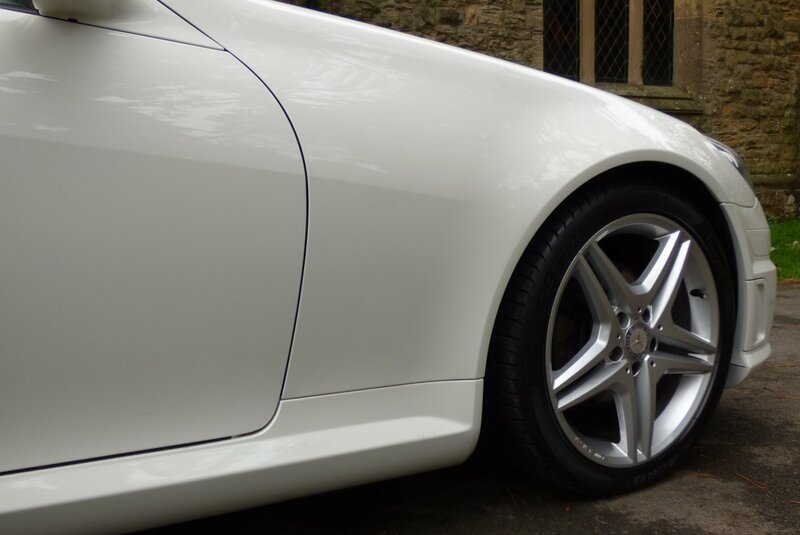 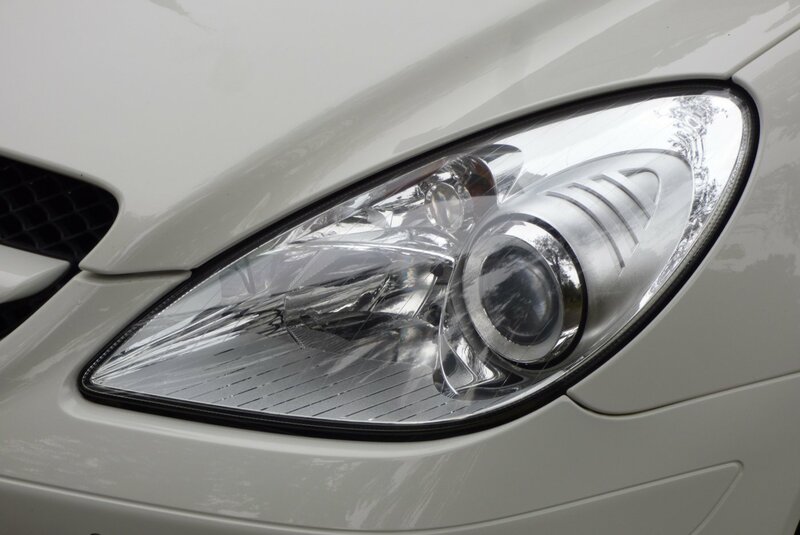 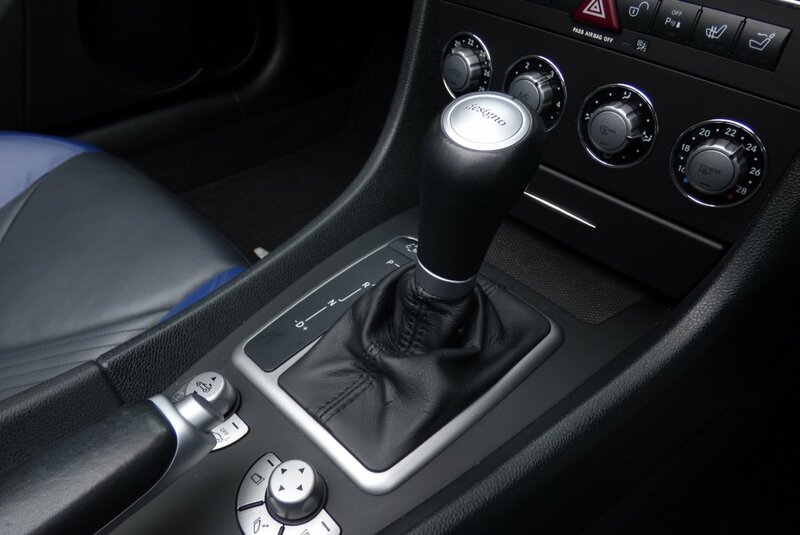 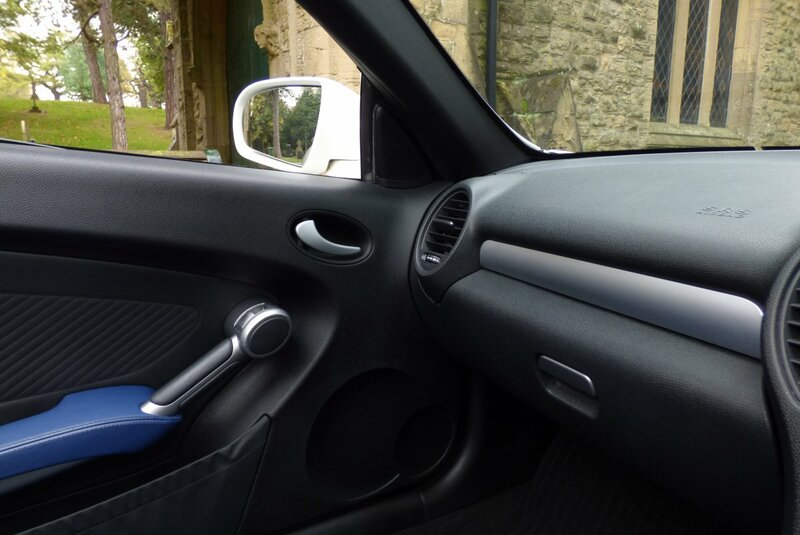 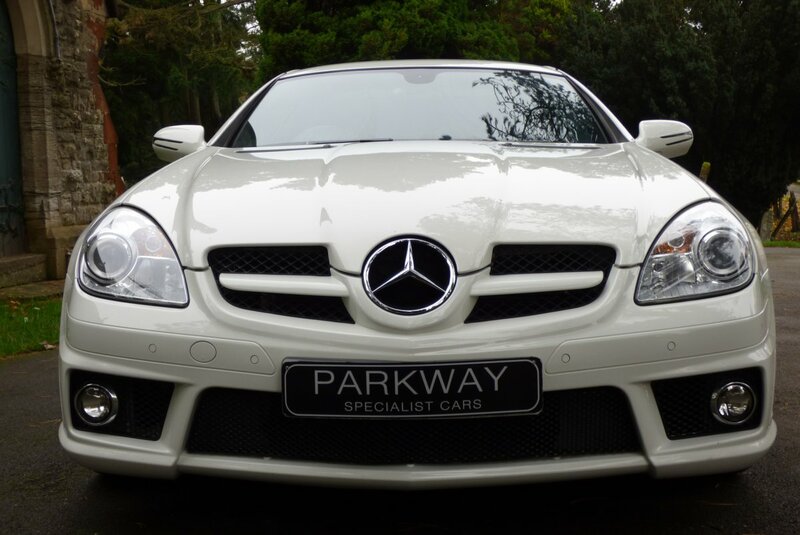 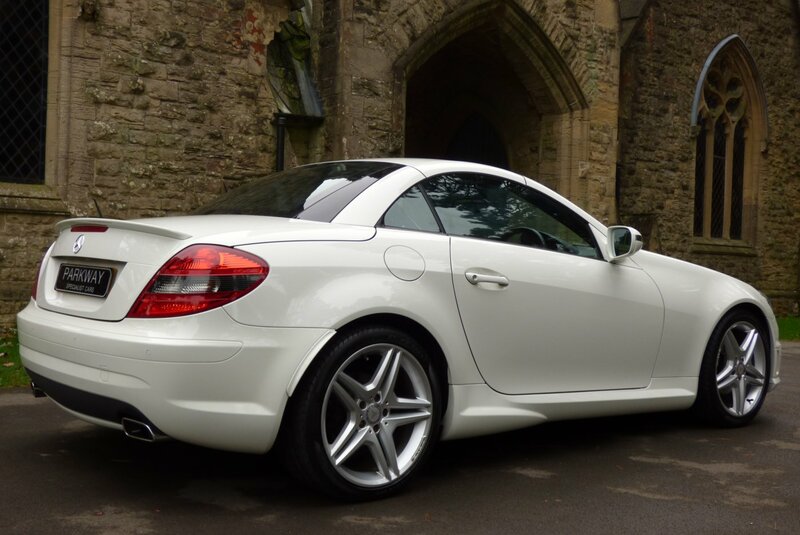 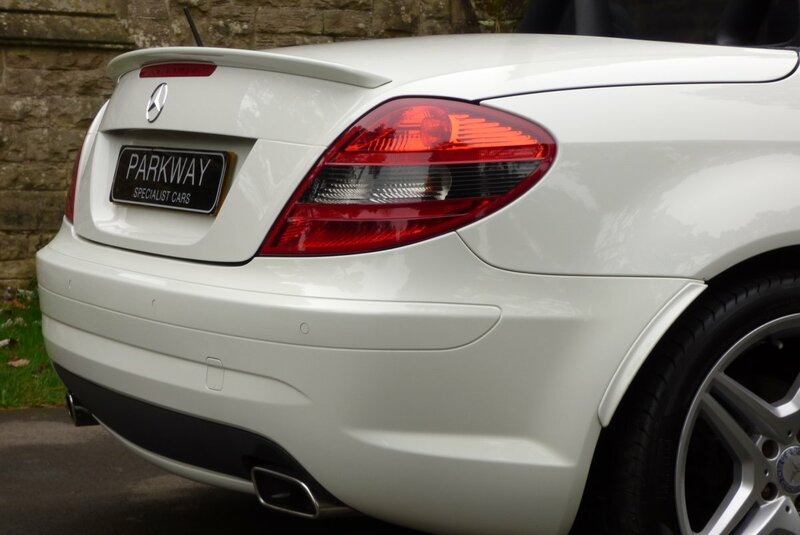 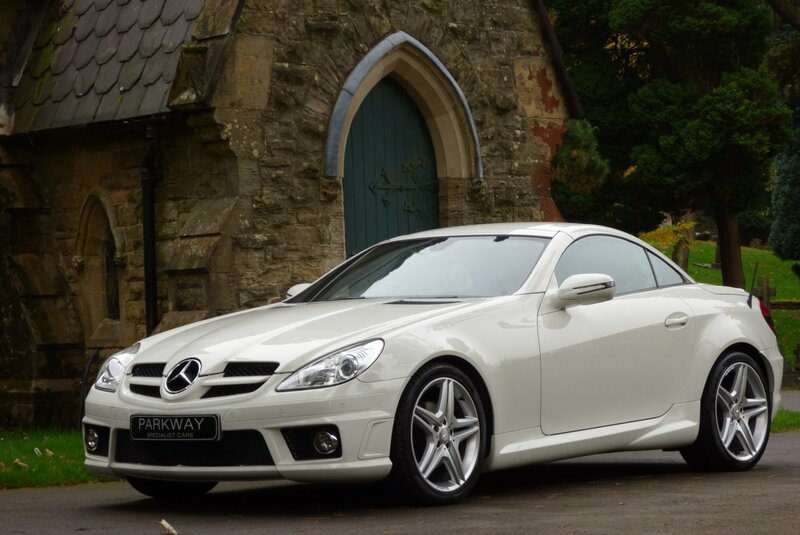 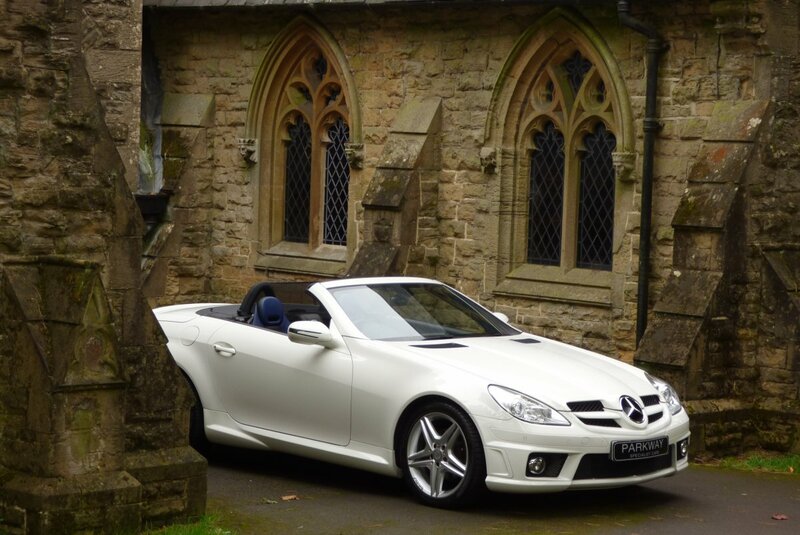 As Part Of The Company Line Came The SLK300 With The V6 Generating A Rather Healthy 231 Brake Horse Power, Which Accelerated Both Driver And Passenger From 0-62 MPH In Just 6.7 Seconds And Gave A Limited Top Speed Of 155 MPH. 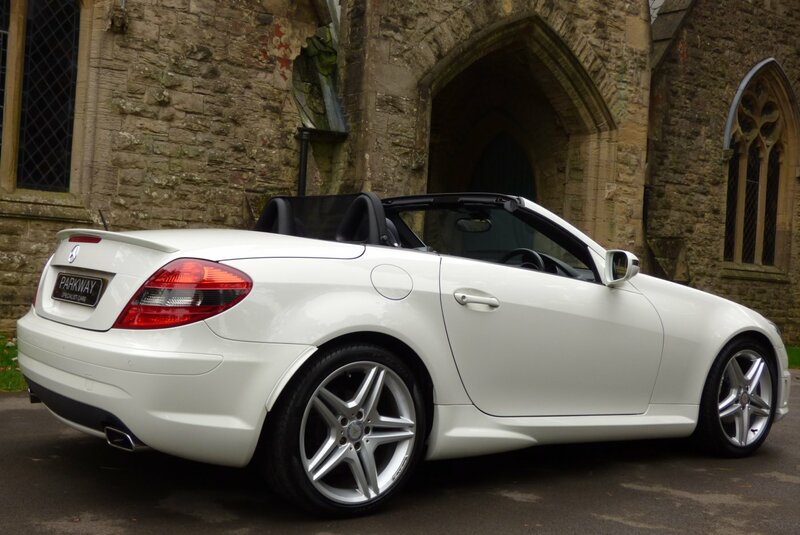 This Delightful Example Was First Supplied By Sinclair Mercedes Benz In Bridgend On The 1st Of September 2010 And Since This Date Has Has Very Minimal Miles Applied, However Regardless Of This The Vehicle Has Been Maintained To A High Standard With Past Mercedes Benz Main Dealer Service Visits Logged At 7244, 10345, 18101, 22619, 25330 & 28016 Miles, With The Last Completed By Esplanade Mercedes Benz In May 2017. 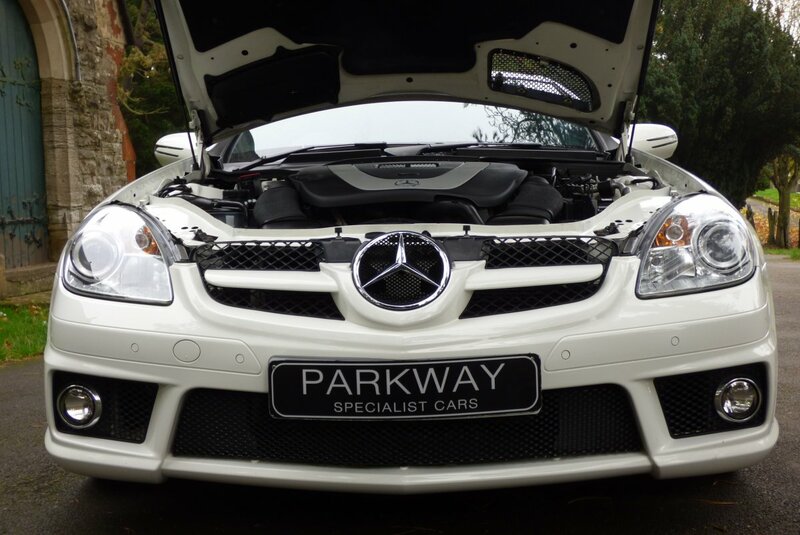 Once Sold The Car Will Be Presented To The Next Lucky Keeper With The Entire Booklet Pack Set, A Fully Cleared Hpi Certificate, A Factory Build Card And A Fully Functional Key Set, For The Next Person To Keep And Cherish. 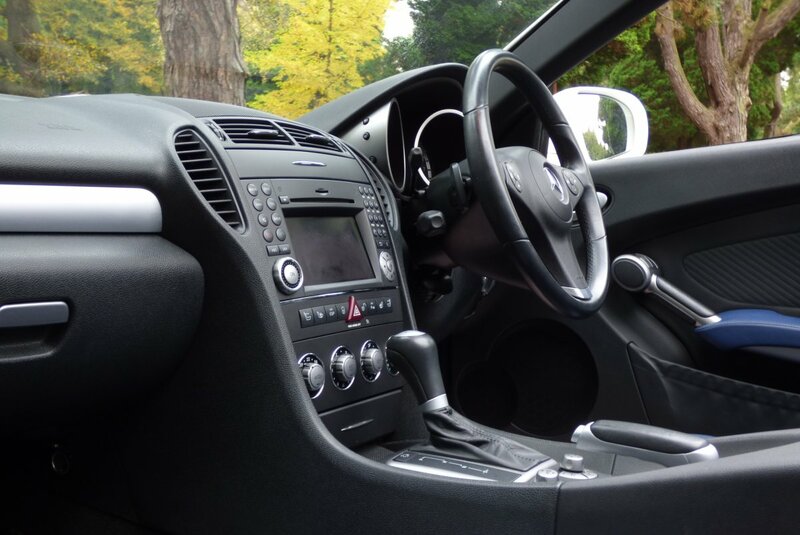 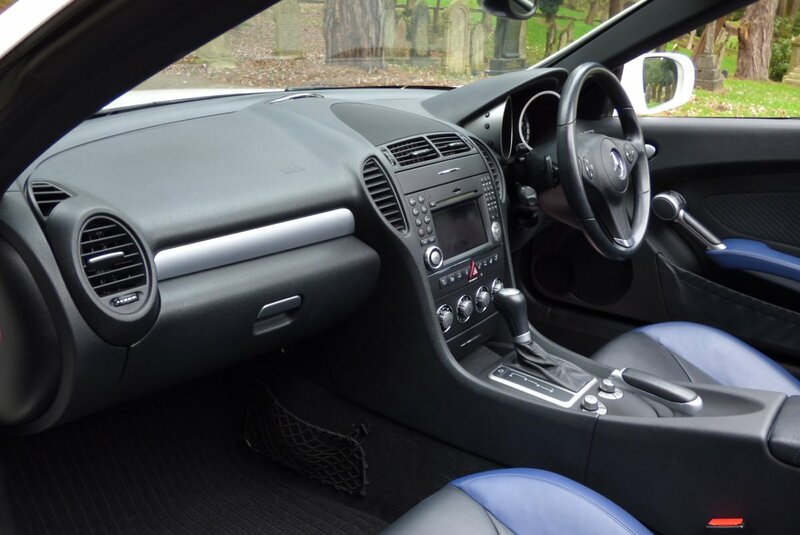 The Interior Is Very Special In So Many Ways And Offers A Cabin Of Extreme Comfort, Style And Exciting Flair For The Driver And Passenger To Enjoy Time And Time Again. 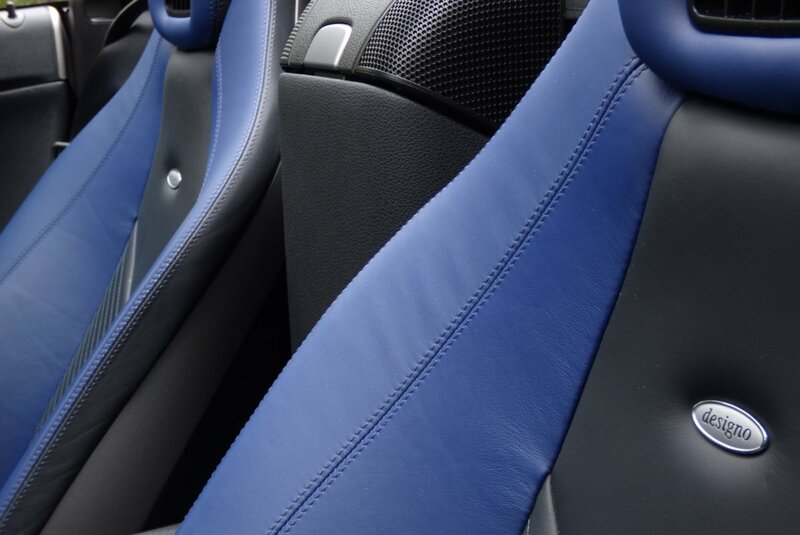 From Factory Build This Stunning Example Was Opted With Designo Embossed Two Tone Black Nappa & Mauritius Blue Leather Seats Complemented With Blue Twin Needle Stitch Detail, The Black Dash That Wraps Around This Inviting Space, Black Carpets, The Two Tone Leather Trimmed Door Cards, Black Roof Lining, The Designo Embossed Gear Selector And Presented With Bright Aluminium Look Inlays That Finish This Dramatic Environment. 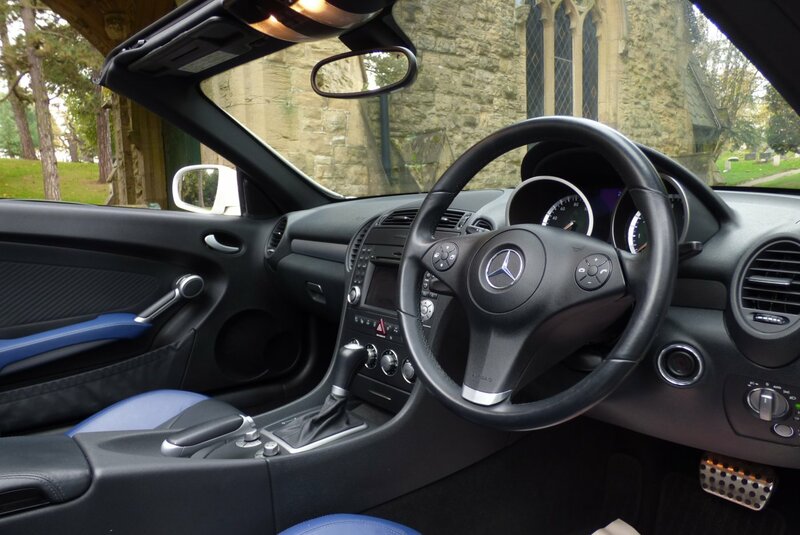 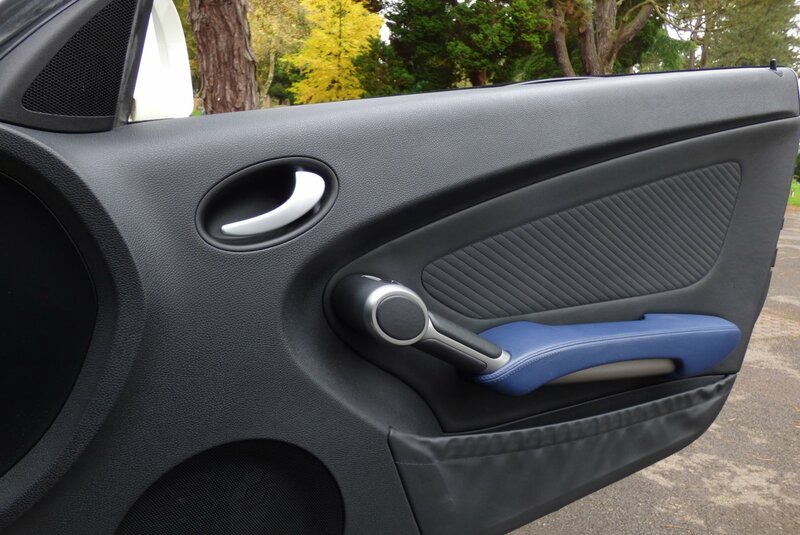 The Interior Is Also Packed With A High Level Of Factory Options, Meaning That Every Trip Is Perfectly Controlled And High Enjoyable, No Matter The Distance. 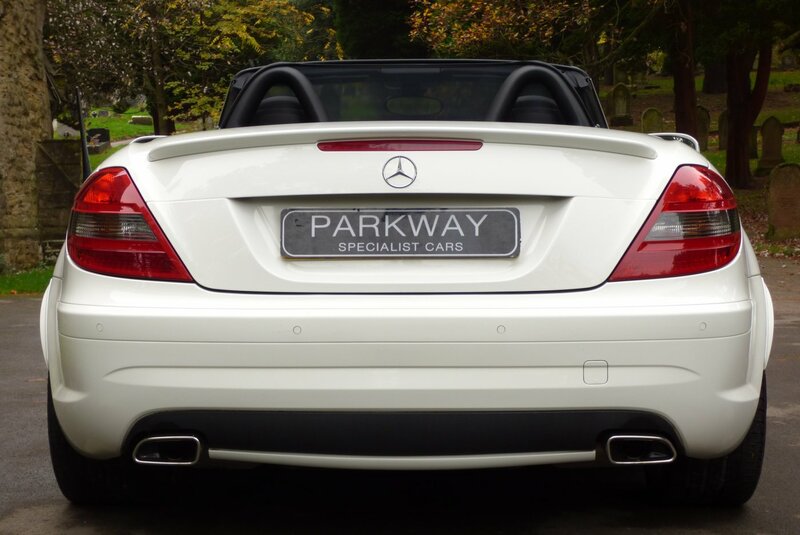 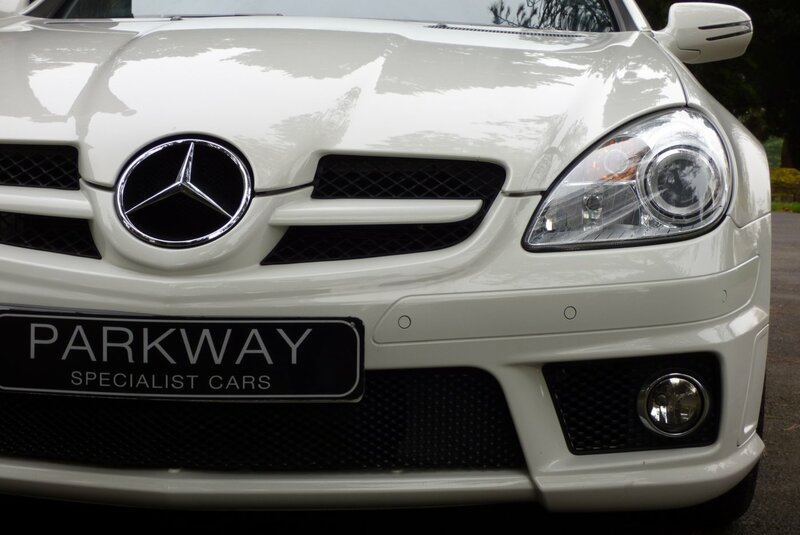 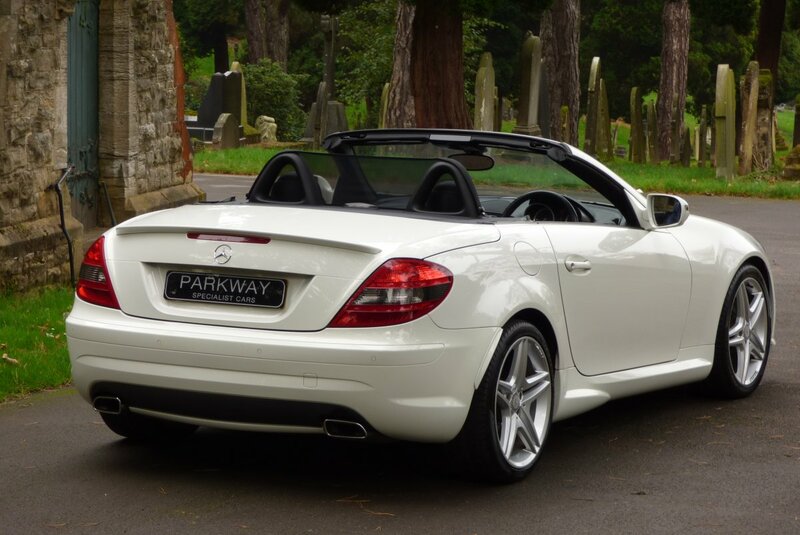 The Body Is Presented In The Calcite White Which Perfectly Demonstrates The Aggressive Mercedes Benz AMG Exterior Styling Package, The Distinctive Lines And Looks Stunning With Or Without The Solid Folding Convertible Roof In Place. 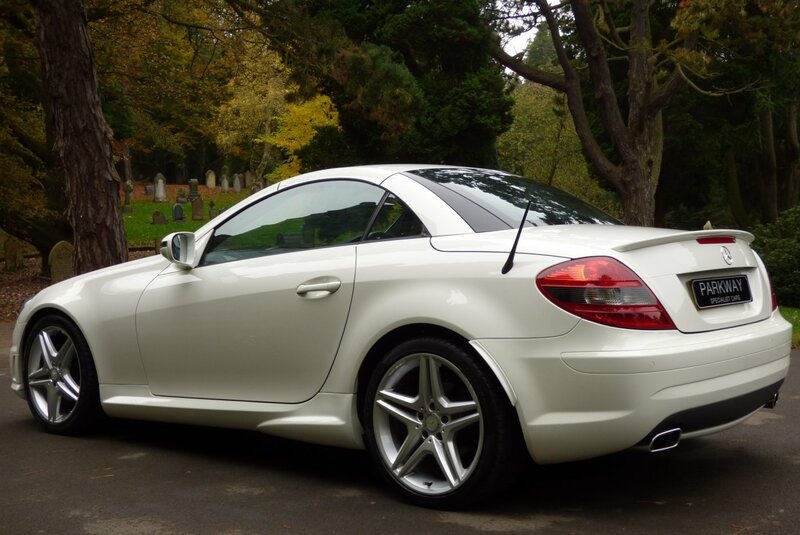 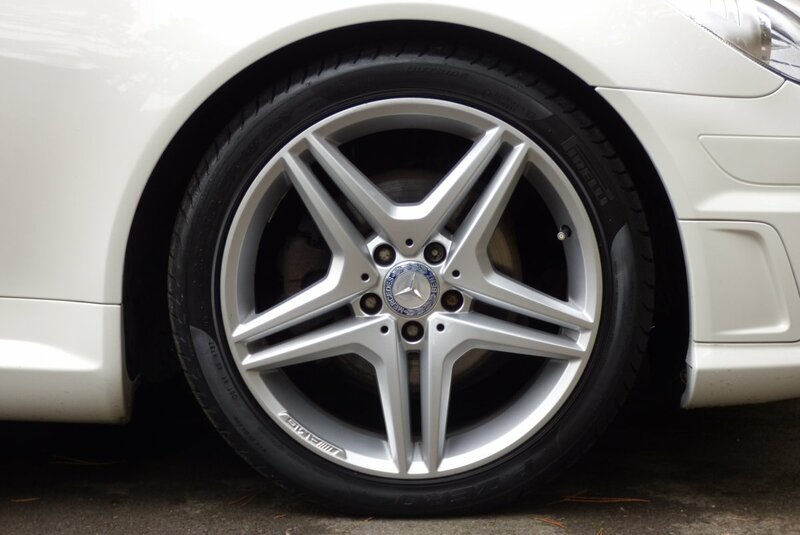 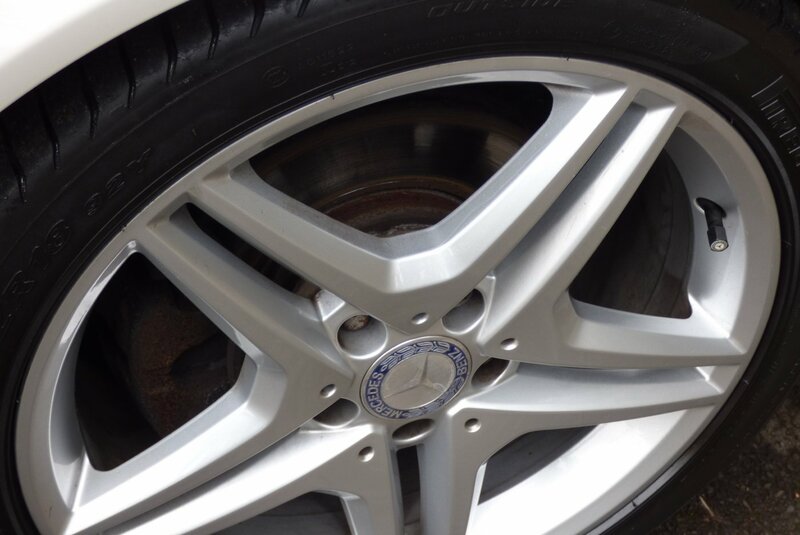 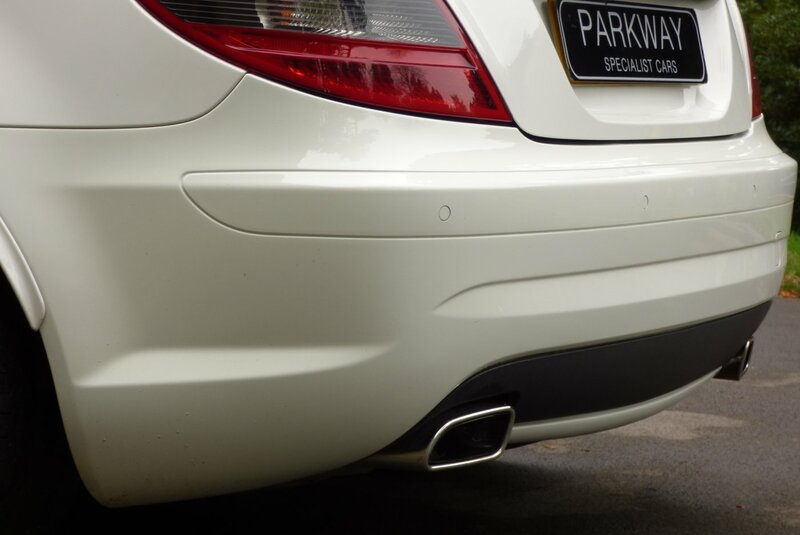 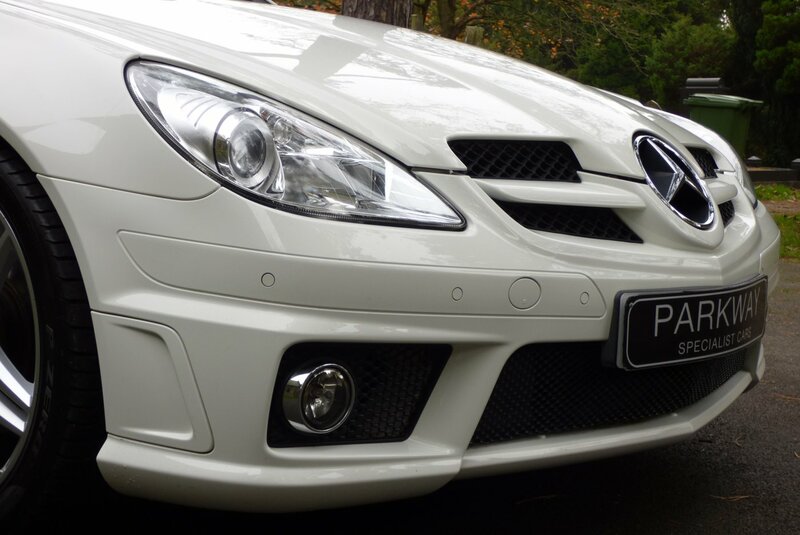 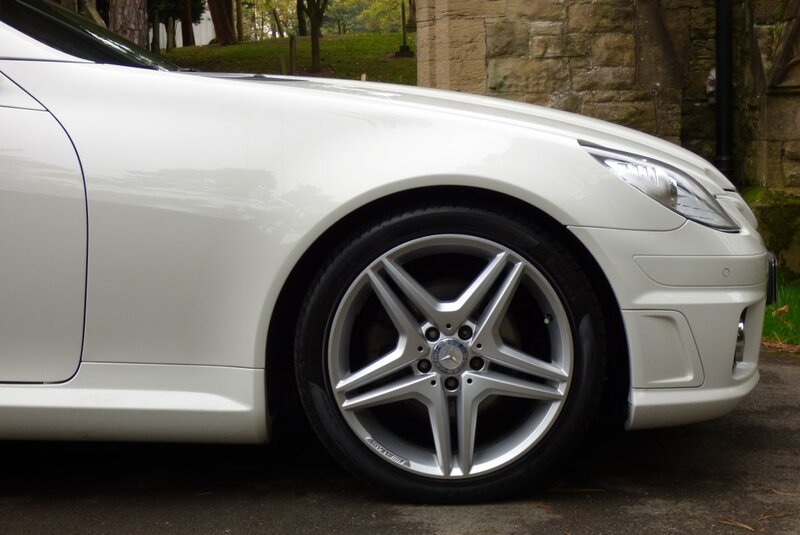 Further Exterior Treats Are Presented With The Unmarked 18" Five Double Spoke AMG Embossed Alloy Wheels Which All Sit On Branded Tyres, The Gloss Black Bonnet Vents, The Twinned Chromed Squared Exhaust Tips, The Black Hexagon Front Grille And Decorated With The World Famous Chromed Three Spoke Star On The Bonnet. 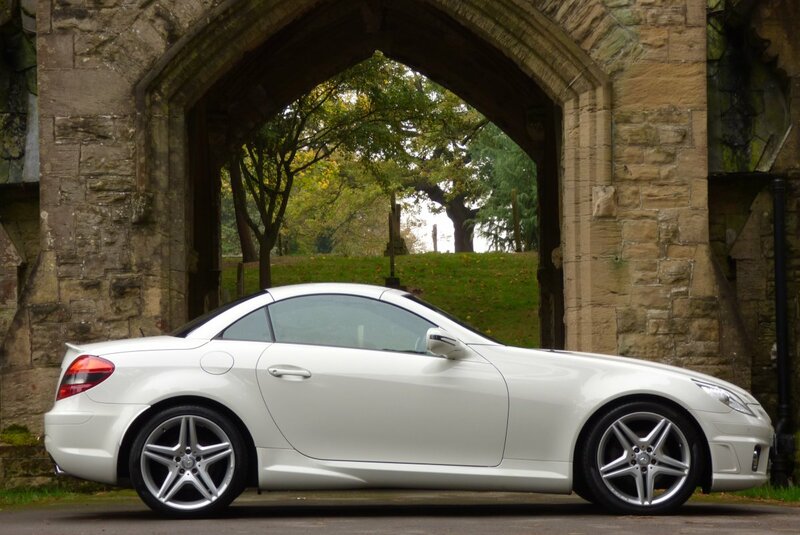 The Car Really Does Look Lovely From Every Stance And Would Be Perfect For That Drive Into The City Or That Planned Weekend Trip Across Europe. 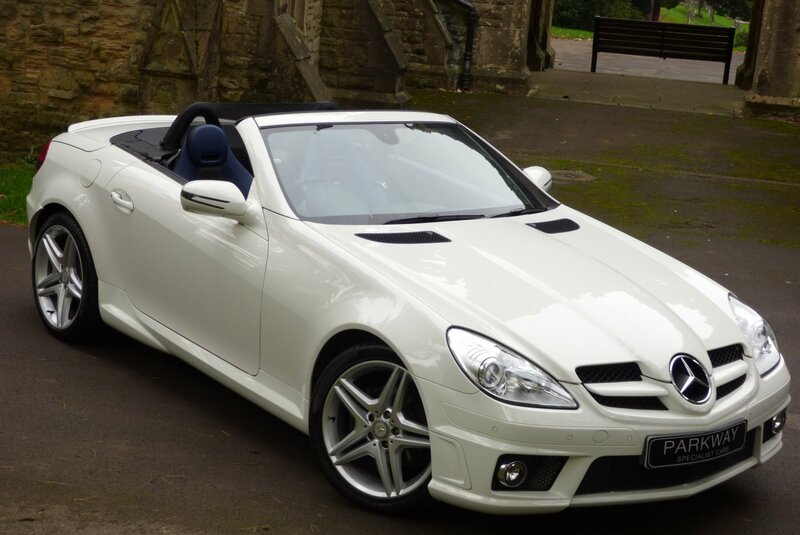 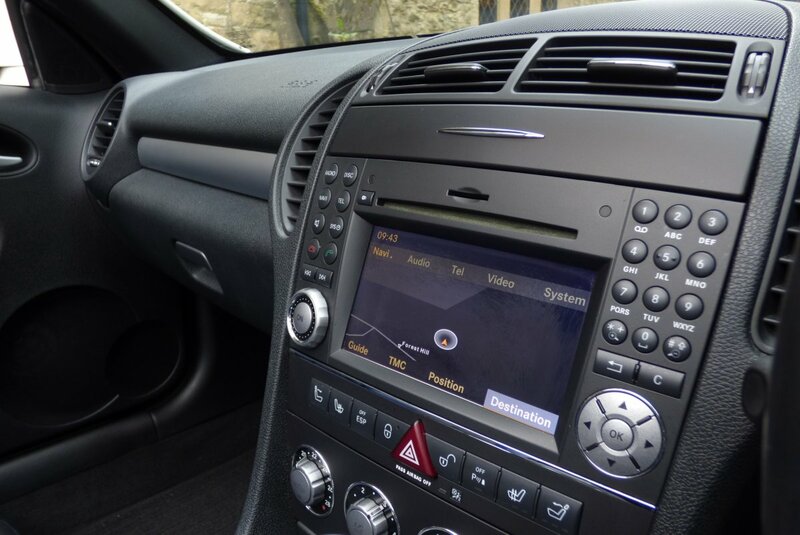 This Stunning Designo Example Offers Excellent Factory Options To Include The Full Colour Information Screen With Satellite Navigation System, Air Scarf Function, Variable Heated Front Seats, The Three Spoke Leather Bound Multi Functional Steering Wheel With Paddle Shift, Cruise Control, Xenon Headlights, Electric Folding Mirrors, Front & Rear Park Distance Control, Mercedes Benz Phone Preparation, Steel Pedal Set, Embossed Internal Sill Kick Plates, Dual Zone Climate Control, Fabric Draft Stop, AMG Sports Suspension, Universal Communications Interface, Remote Central Locking With Alarm, Unmarked 18" Five Double Spoke AMG Embossed Alloy Wheels, AMG Exterior Styling Package, The Electric Folding Solid Convertible Roof, Rain & Light Packages And So Much More. 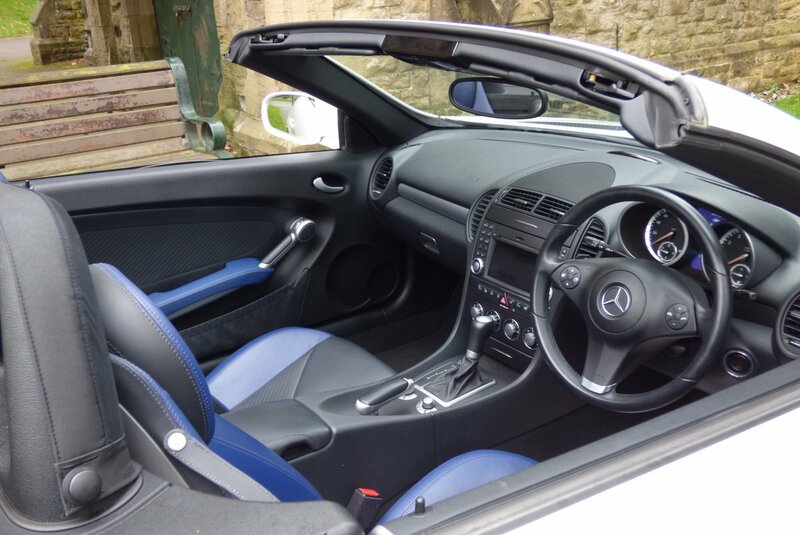 The Car Also Comes With The Entire Booklet Pack Set, All The Keys And A Fully Cleared Hpi Report..